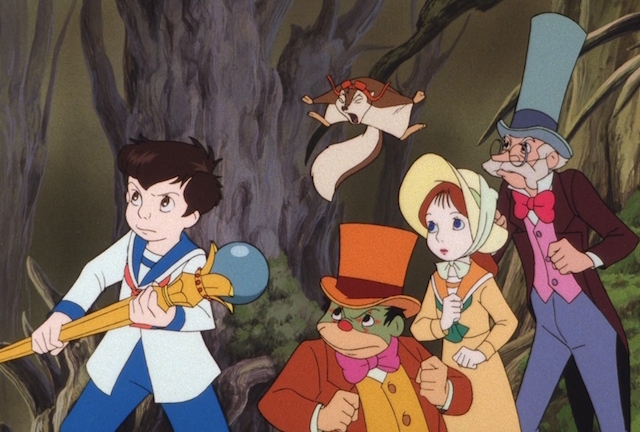 Lyndsey selects the podcast's first animated film with 1989's Little Nemo: Adventures in Slumberland, a troubled Japan/USA co-production that initially flopped at the box office only to later gain a cult following thanks largely to the involvement of Yutaka Fujioka, Mickey Rooney, Chris Columbus, Brad Bird, and Ray Bradbury. Talking points: A long production history. A lot of people involved. Nemo has the personality of an eggplant. The Alice in Wonderland dream problem. Heavily cut for American audiences. A Nightmare on Elm Street. Tropicana. A strange culture mesh. The Gate. The heir to Slumberland. The cut scenes. A film that terrified Lyndsey. Imaginationland. Cruel characters. The Wizard of Oz. Sleeping with squirrels. Buy it/rent it/tape over it. Chucky. Posted on January 18, 2016 by Tapeheads and filed under Episodes, Lyndsey's Collection.